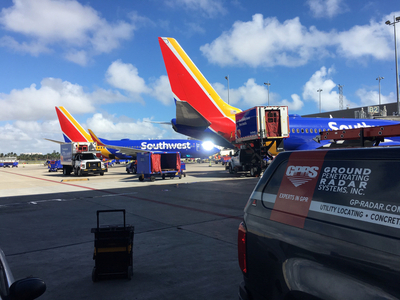 In light of that, in an effort to avoid wasting their time guessing where to drill and to avoid damaging the beams, the crew at Fort Lauderdale Airport decided to call out Ground’s Penetrating Radar to help them locate all of the rebars. 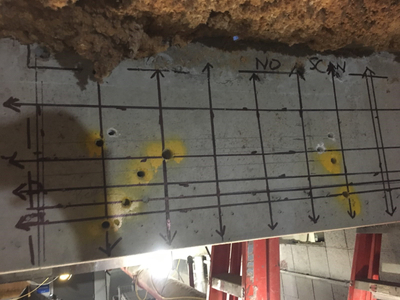 We were happy to lend our services and demonstrate our expertise in concrete scanning. 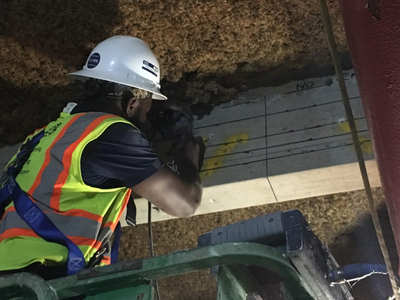 They knew that with our technology we could successfully identify and mark all of the rebars for them, thus providing them with an efficient way to complete their work and ensure success. Above, you will see a picture depicting Peterson Jean-Baptiste, of GPRS, LLC. 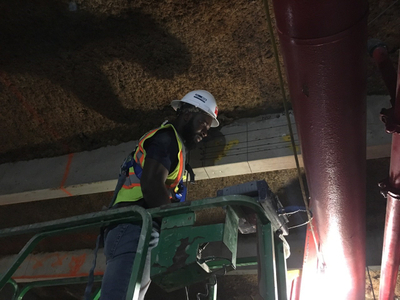 scanning on the Beam with the GPR device. If you would like to receive a proposal for similar work please visit the “Contact Us” page.